Humpday–governed by this week’s best friend Mercury–tends to be my least favorite day of the week. As a writer, I feel terrible anxiety when it rolls around, a compulsion to write the Most Beautiful Thing that unsurprisingly often goes awry. 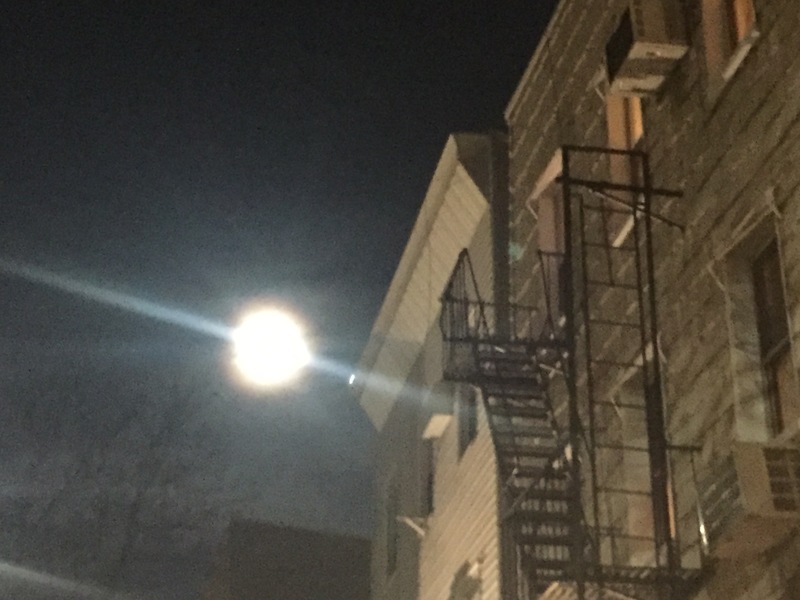 With Mercury retrograde already looming and the Gemini full moon still radiating its glow, I figured last night would be best if “kept simple, stupid.” I got acupunked; then, clad in layers of fur and legwarmers, wandered through my Italian-American neighborhood, admiring the Christmas lights it does so right. Ella Fitzgerald came on my shuffle a lot, which was a good sign in terms of seriously garbled cheer; take that, wordsmith Mercury! After emerging from a Vine Wine burgundy tasting, I felt like I’d finally made my peace. “Hello, old pal,” I actually said aloud upon seeing this snow globe of a frenemy moon.